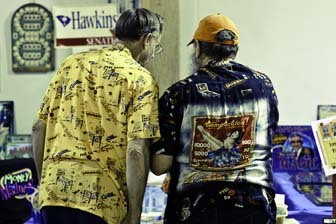 Rob Hawkins & Don Mueting. 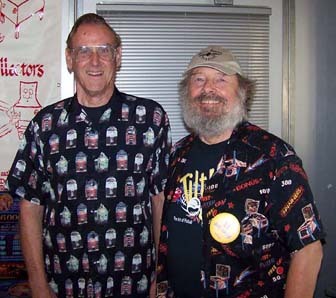 Don Mueting & Rob Hawkins, 2006 Pinball Fantasy. Don Mueting & Rob Hawkins, 2013 Pin A Go Go. Don Mueting & Rob Hawkins, 2013 Pin A Go Go (Back). Photo by Art & Amanda. 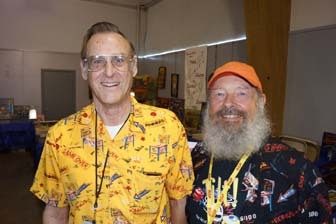 Don Mueting & Rob Hawkins, 2015 ACMCA Show. Our first try to satisfy the pinball collectors need for a reference source resulted in the "Pinball Reference Guide" (June 1979). The Guide was an attempt to list as many games as possible in a relatively undocumented field. At that time there were only three magazines available providing historical and current information about pinball machines. During our effort to verify the date of machines, we gathered large quantities of data that we did not include in the Guide. Besieged with requests for more information regarding the games in the Guide, we often provided collectors with help in locating information and parts for their games. This then is the purpose of our second publication: to satisfy the ongoing need of collectors for more information regarding their machines. 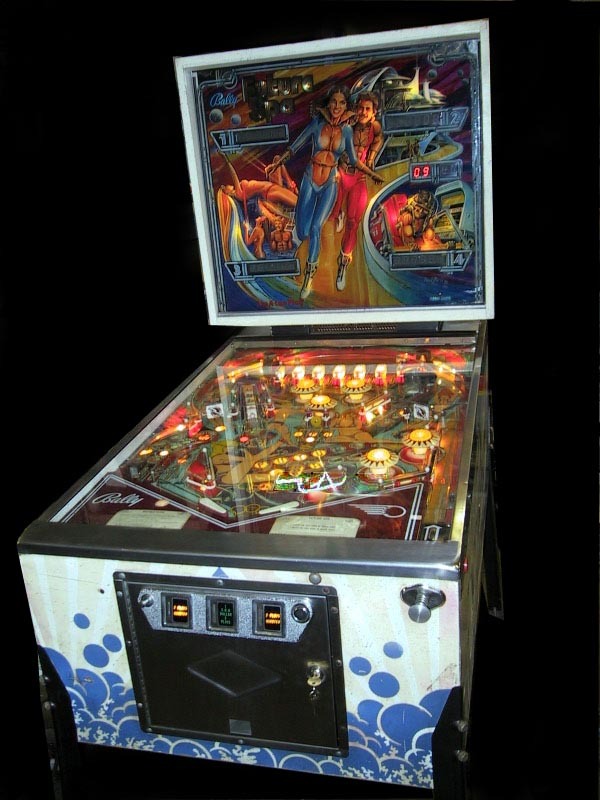 The Pinball Collectors Resource will provide you with a major information source. The information is presented in four major sections. The first section is the Manufactures List provides four key facts about each manufacturer. 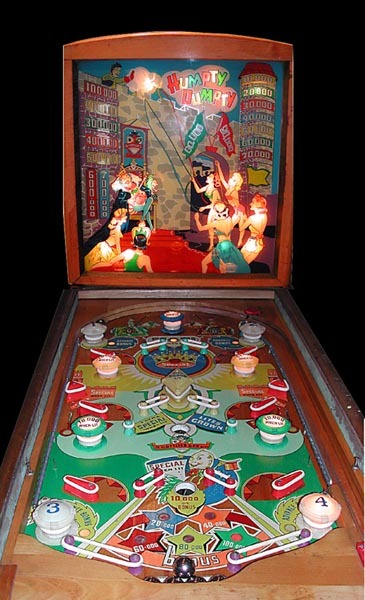 The second section contains the relevant pinball facts such as those mentioned in the opening paragraph. The third section provides you with an involved set of historical and factual notes. The final section includes forms for you to help us add to the data base. It is our desire to involve as many of you as possible in this on going project of documenting and identifying resources for pinball enthusiasts. We have strived to ensure accuracy of the information. Accuracy of dates, historical information, and references used to confirm the existence of a machine, is of utmost importance. Primary sources are used wherever and whenever possible. A primary source consists of a publication or periodical of the same date as when the machine was manufactured. Other resources consist of the manufacturer's dated publications showing the date of first release. As other primary sources become available, the information contained will become more precise. Other types of information contained in the "Resource", such as availability of backglasses and various parts, are in a constant state of flux. Therefore it is nearly impossible to guarantee their availability because of possible previous sale. We are therefor constantly updating our data and ask that you help in the ongoing effort to provide an accurate "PINBALL COLLECTORS RESOURCE". 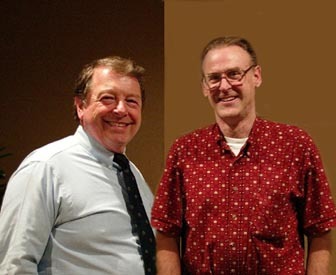 Don and I began independently gathering historical information as early as 1975. The date on Don's first published list of games is August 1976. 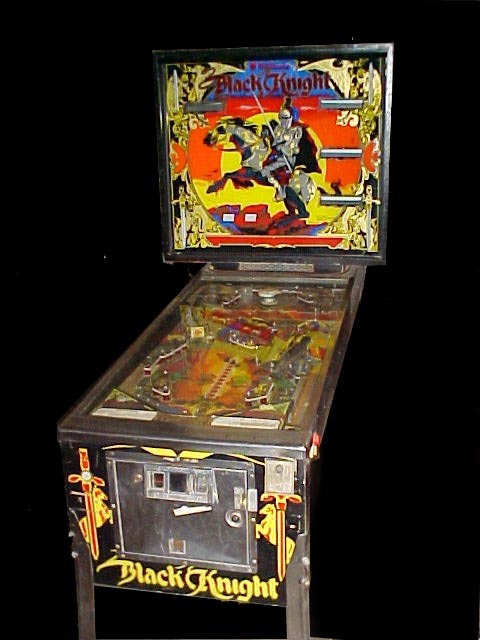 This first list of pinball machines and dates contained 1200 games. 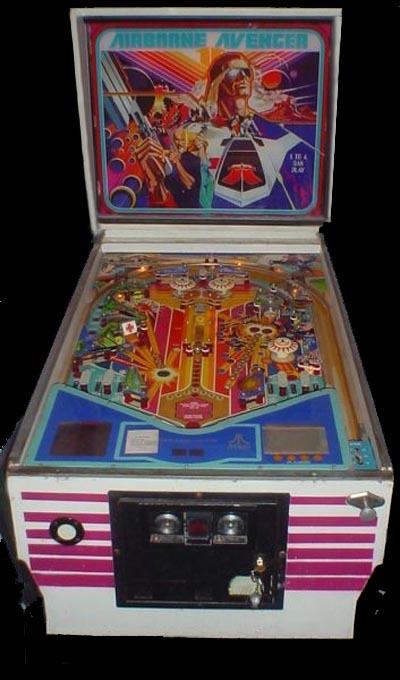 I completed my Masters Thesis, "The History of the Pinball Machine" in December of 1976. 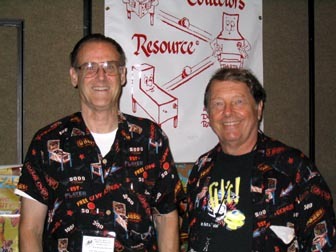 Don and I began working together to compile and verify our data for the "The Pinball Reference Guide" in September of 1977. That book contained 2500 entries. Over the past 15 years the list has grown to more than 400,000 characters of resource data of interest to Pinball Collectors. This converts into almost 4000 games with their related information. We would like to offer special thanks a few people for their help in compiling this information. A special T H A N K S to Pinball Historian Russ Jensen, who has willingly provided sizable primary source information relating to the middle thirties through the middle forties. His broad research into this time period has greatly enhanced the contents of our book. 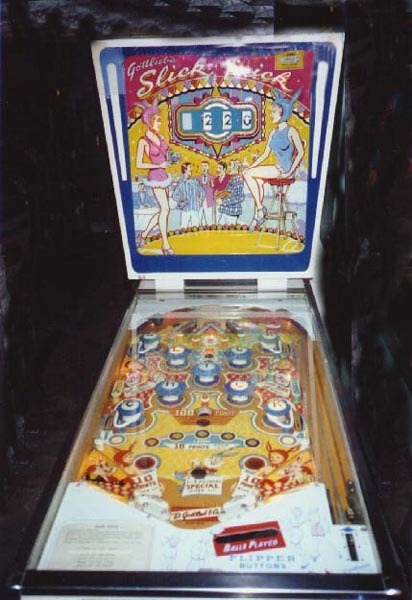 We would also like to offer our sincere thanks to our wives for the many hours of lonely evenings they spent while Don and I poured over the mounds of data and developed this, our newest venture, The Pinball Collectors Resource.